This post, written by Jessica Sherrow, a Harvest Against Hunger Summer VISTA with Lettuce Link, originally appeared on the Lettuce Link blog. Lettuce Link is one of several partners stewarding original urban farmland at Marra Farm in Seattle’s South Park neighborhood. Marra Farm is a place that defies stereotypes. 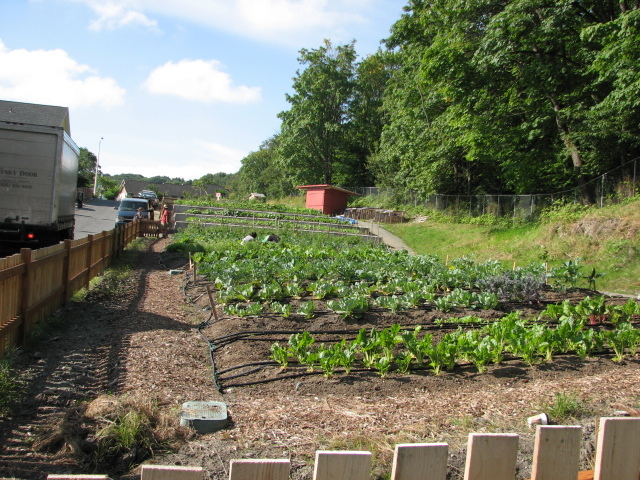 The word ‘farm’ even takes on a new meaning when applied to our little agricultural oasis in South Park. The images associated with that word – solitary, quiet, pastoral – dissolve when you step onto our farm. Truthfully, it can be a little chaotic. Kids from Concord International Elementary or the South Park Community Center running around; a few dozen of our 1,800 annual volunteers working and digging and planting; planes, trains and cars filling the air with that distinct urban din – it’s not at all what you would expect on a farm. And when you think about everything these kids experience throughout the growing season, it makes perfect sense. They dig in the dirt and plant seeds. They water to their heart’s content, and then they watch their little plants grow. 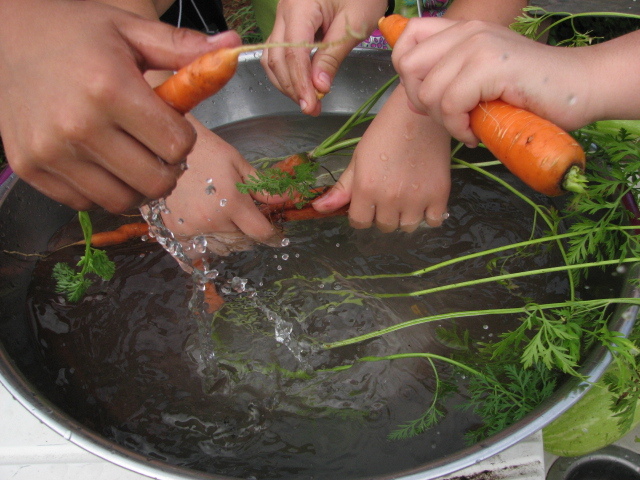 They harvest the veggies themselves – chard, sweet peas, carrots, broccoli – and help prepare a snack especially for them. 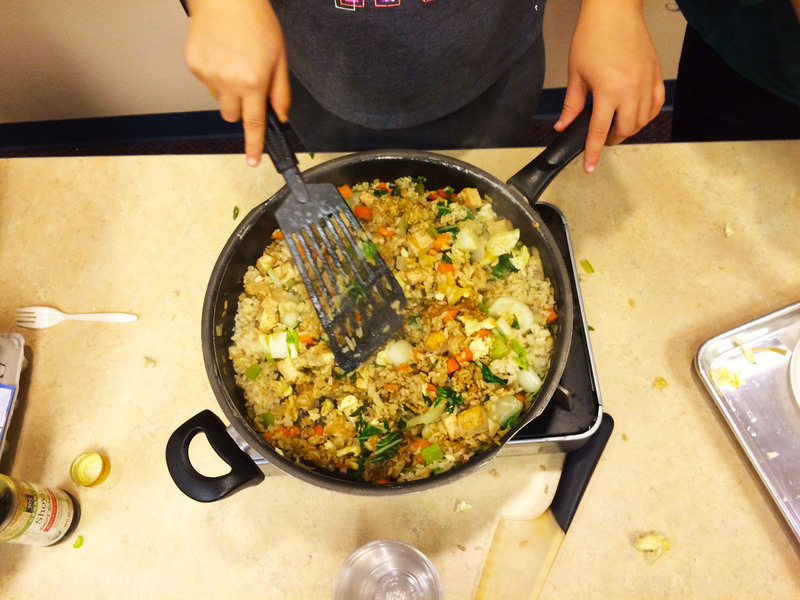 Today, it’s Chinese Veggies and Rice, and it’s a hit. 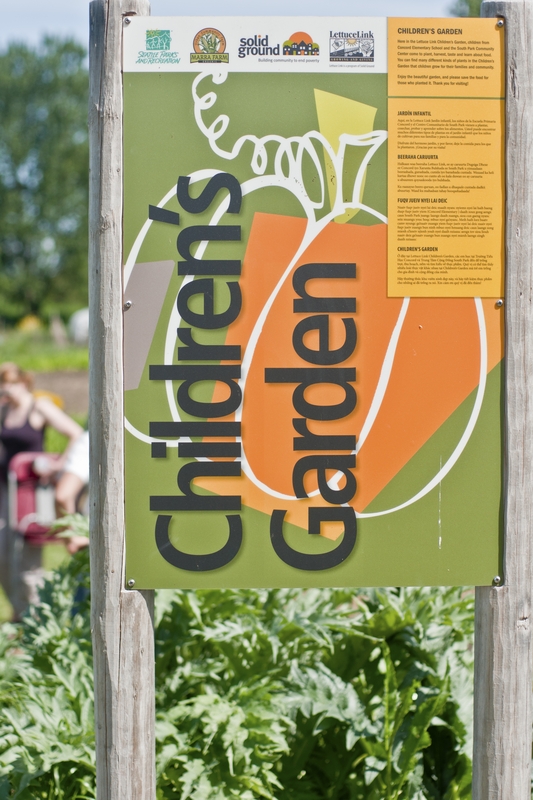 For more information on gardening and cooking with kids, check out these amazing projects: Lettuce Link’s Seattle Community Farm, GRuB: Growing Healthy Food, People, and Communities, Seattle Youth Garden Works, Seattle Tilth, and The Edible Schoolyard Project. Senate passes Farm Bill: So now what? After weeks of debate, the United States Senate has passed a Farm Bill – or “Food & Farm Bill,” as many believe it should be called. Conceived over 80 years ago as a New Deal program to aid struggling farmers and feed hungry Americans, the Farm Bill has since evolved into our nation’s most influential piece of food and farming legislation. It sets and enforces the rules on what we eat, how much it costs, and under what conditions it is grown. The Senate’s Bill, which passed yesterday, boasts $23 billion in deficit reduction as it blueprints our food system over the next five years. Let’s take a closer look. There is much cause to celebrate. The legislation eliminates direct payments to commodity farmers, which have been a blunt tool that overfunds industrial, monocrop agriculture. Instead, there will be greater emphasis on need-based crop insurance, including better support for organic growers. Important to Washington growers is an increase in Specialty Crop Block Grants – industry jargon meaning more money for fruits and veggies. 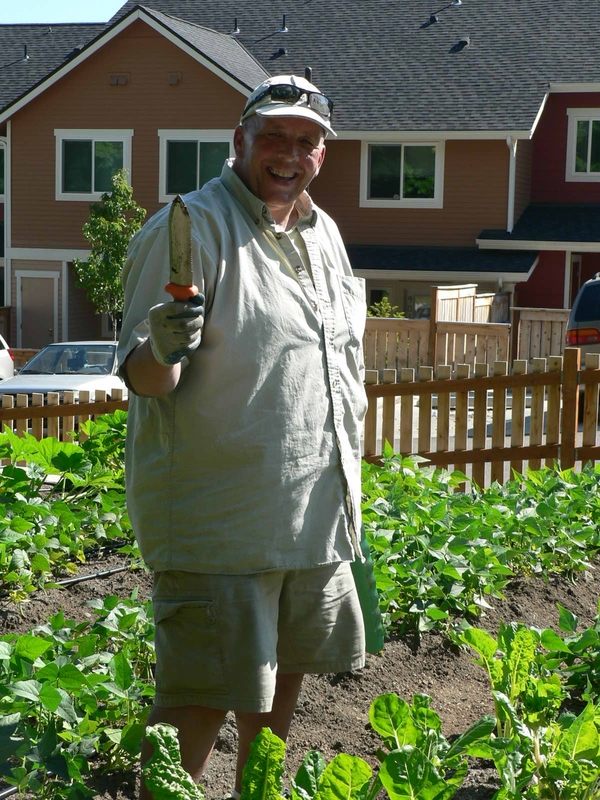 The Senate voted to double fund Community Food Project grants, which levy federal money for community-level food system development and currently support Solid Ground’s Seattle Community Farm. A new local fruit and vegetable program called the Hunger-Free Community Incentive Grants offers $100 million over five years to increase purchases by SNAP (Supplemental Nutrition Assistance Program, or food stamps) customers at farmers markets and other healthy food retailers, while another program would introduce a five-state Farm-to-School pilot project. Summarily, the Senate’s smörgåsbord would support rural economies, improve urban eaters’ access to healthy food, and subsidize agriculture more equitably – all amidst a climate of funding cuts. But there is also reason to grieve, as the Senate Bill made significant chops to the SNAP program. It is deeply troubling to see $4.5 billion in cuts to SNAP at a time when 46 million Americans are enrolled in this program, which is one of the few federal safety nets that expands and contracts based on need. According to the Community Food Security Coalition, these cuts will reduce benefits to approximately half a million food insecure families by $90 a month. Also disappointing were the underfunding of the Outreach and Assistance to Socially Disadvantaged Farmers and Ranchers program, and the failure of an amendment that would have required labeling for genetically engineered foods. In her statement on the Bill, WA Senator Patty Murray said, “This year’s Farm Bill is a victory for Washington State, our farmers, and our economy – and I was proud to support it. It makes important investments in jobs, provides meaningful support for our fruit and vegetable growers, and reforms many programs while continuing the critical safety net for farmers. I do not believe this legislation is perfect, and I am particularly concerned about the reduction in SNAP (food stamps).” Washington Senators Murray and Maria Cantwell have been champions of economically stimulating and socially just Farm Bill reforms, and we encourage constituents to send their thanks. What’s next? Well, the food fight marches into the House of Representatives, where it must pass before Obama can sign it into law. The House had originally planned to mark-up the Bill next week, but this process has been delayed – and that is cause for concern. “Whether there is a 2012 Farm Bill or not will largely rest in the hands of the top House Republican leadership,” says the National Sustainable Agriculture Coalition. No Farm Bill in 2012 means that funding levels from the 2008 Farm Bill will continue, which are far less progressive than those proposed by the Senate yesterday. 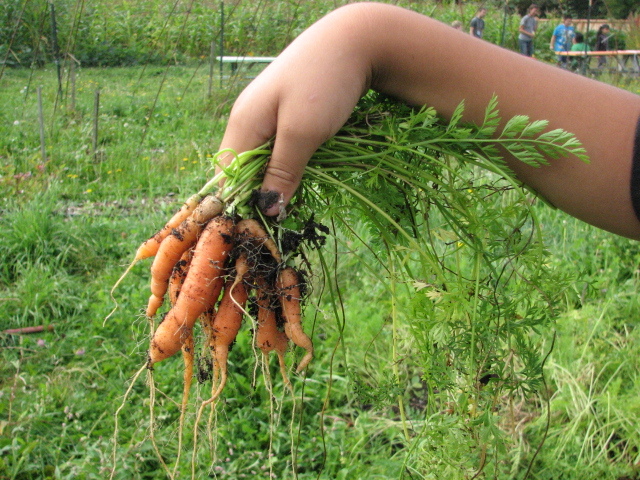 America is hungry for a Food & Farm Bill that addresses the real challenges facing its eaters. While the Senate’s bill makes important strides towards a fairer food system, it continues to overfund commodity agriculture at the expense of struggling Americans. As an agency committed to eliminating injustice in all its forms, we must continue to demand a better Bill. Our friends at the Northwest Farm Bill Action Group are developing a legislative agenda for the House session – whenever it happens – and we encourage you to stay tuned to their website or their Facebook page. In the meantime, you can Dine Out to support local efforts to organize for a healthier Farm Bill! This Monday, June 25 from 4-10pm, the Northwest Farm Bill Action Group invites you to Local 360 in Belltown. A percentage of all checks will go towards this Seattle-based group’s work to educate and advocate for good food. 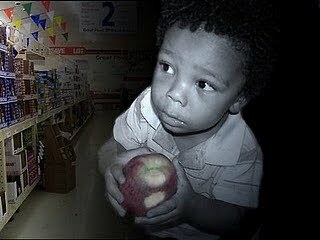 8pm/7 Central, the Food Network will air a documentary about the hunger crisis in America called HUNGER HITS HOME. The Food Network has teamed up with Share Our Strength in their No Kid Hungry campaign to try to get the message out about food insecurity in America. This hour-long documentary shows the perspectives of politicians, parents and – most importantly – children who do not always know where their next meal is coming from. The Food Network and Share Our Strength hope and believe that if enough people see this documentary and connect with its cause, then we can inspire action against hunger. View the Hunger Hits Home Trailer. Download the Hunger Hits Home Viewer Guide. For more information, please contact Alyssa Harkins, Food Network Representative, at alyssaharkins@yahoo.com. Orange is the color of hunger awareness. And with 367,000 Washington families struggling to put food on their tables while Washington State budget woes threaten to further slash our safety net, awareness among our state lawmakers is vital. Programs like food stamp benefits for immigrant families, farmers market vouchers for seniors and women with children, school meals funding, and support for local food banks are all in danger. Amid a sea of orange scarves, over 150 advocates gathered in Olympia on Friday, February 3rd for Hunger Action Day. The message? Protect the programs and infrastructure that ensure people can meet their most basic need: food. This annual day of advocacy was organized by the Washington State Anti-Hunger & Nutrition Coalition – a statewide coalition of service providers which works to bring the voices of hungry Washington families to the ears of our policymakers to ensure that public policy leads our state’s response to hunger. L to R: Claire Lane (co-chair, Anti-Hunger & Nutrition Coalition), Jen Estroff (Government Relations Dir., Children’s Alliance) & Trish Twomey, (Solid Ground's Hunger Action Center Dir. & co-chair, Anti-Hunger & Nutrition Coalition). Photo by Joyce Zeigen. Solid Ground staff from the Hunger Action Center were proud to attend the event and meet with our legislators to explain the importance of these programs to the families we serve. The group also heard from Speaker of the House, Frank Chopp, who thanked Hunger Action Center Director Trish Twomey for her years of service. Speaker Chopp spoke of the importance of our safety net and the need for revenue options to protect the services provided to Washington’s most vulnerable residents. Not Cool: Record numbers of Americans are going hungry. Forty-two million citizens and recent immigrants are currently receiving SNAP benefits (formerly known as food stamps) due to persistent unemployment and rising food costs. And while $300 million in stimulus money has improved food security for those eligible for SNAP benefits, recent immigrants and refugees do not qualify for this crucial source of aid. Thanks to the Washington’s State Food Assistance (SFA) program, those who meet the federal income criteria can receive look-alike benefits funded by the state. 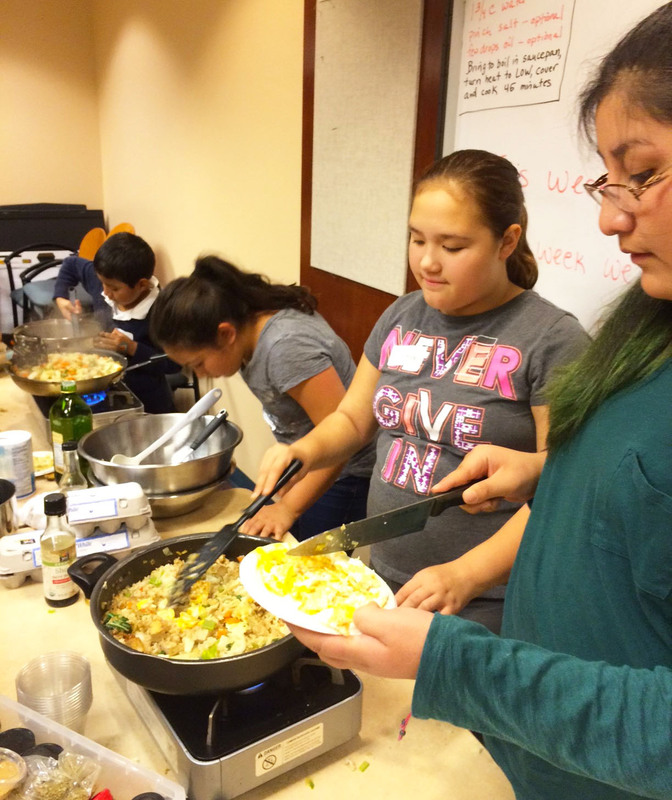 Formed in 1997 as a response to federal legislation that denied benefits to hungry people without permanent residency, SFA serves 14,000 people—including 1,300 children and 2,000 elders. Because immigrants must establish five years of residency before applying to SNAP, this important program tides them over while they build capacity and stability in a new place. But this program is at risk. A dwindling state budget means severe cuts to all social service programs, and the Department of Social and Health Services has proposed that the Governor cut this program from her budget this spring. Without SFA, immigrant and refugee families would be stripped of their food security, further threatening the health and growth of their communities. A coalition has developed that includes anti-poverty, anti-hunger, and immigrant rights organizations as well as community-based organizations of color. Leading this effort, the Children’s Alliance has made this issue one of their four legislative priorities during the upcoming session of the Washington legislature, which begins in early January. If you want to join the effort, contact their lobbyist, Jen Estroff. We’ll provide future opportunities to take a stance on this issue in support of healthy, food-full communities across our city.